Composition for me is a compulsion. Since my youth, I’ve heard so much really bad music forced upon the helpless listener that by my early twenties the need to at least provide an alternative became overwhelming. I’m not aiming to compete with the mighty composers of our time – it’s composition, not competition, that drives my imagination. Nor, despite accusations I’ve heard levelled against composers of my approach, should I be regarded as ‘elitist’. There is nothing wrong with trying to set high standards, or to challenge, in any of the arts. A further accusation, of course, is of ‘amateurism’, because like many other composers in my field I compose whether commissioned to do so or not. I flatly refute this accusation; my approach to composition is completely professional at every level. Further, unlike some colleagues, I do not respond to unpaid ‘commissions’. An essential part of my philosophy is ‘looking outwards’. Contemporary British ‘classical’ music now has become very in-turned, cautious, anxious not to stray too far into alien territory. Mine, by contrast, explores a range of non-European ideas and cultures, as well as those of, particularly, France and Spain. I grew up a polyglot, and see no reason to shut the doors which that background opened to me: a background to a vast and rich ‘other’ landscape. This is not being ‘perverse’, pace the view of one well-known media commentator. 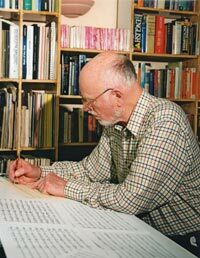 Gilbert handled the instrument with an inventiveness that begs the question why more composers haven’t delved beyond its deceptive simplicity. Not just microtones, but singing through the recorder, finger vibrato and glissandi are absorbed into the work quite unselfconsciously. The last of the five movements, a rapid moto perpetuo, has the bass recorder deliberately over-blown to produce a constant stream of chords and harmonics.